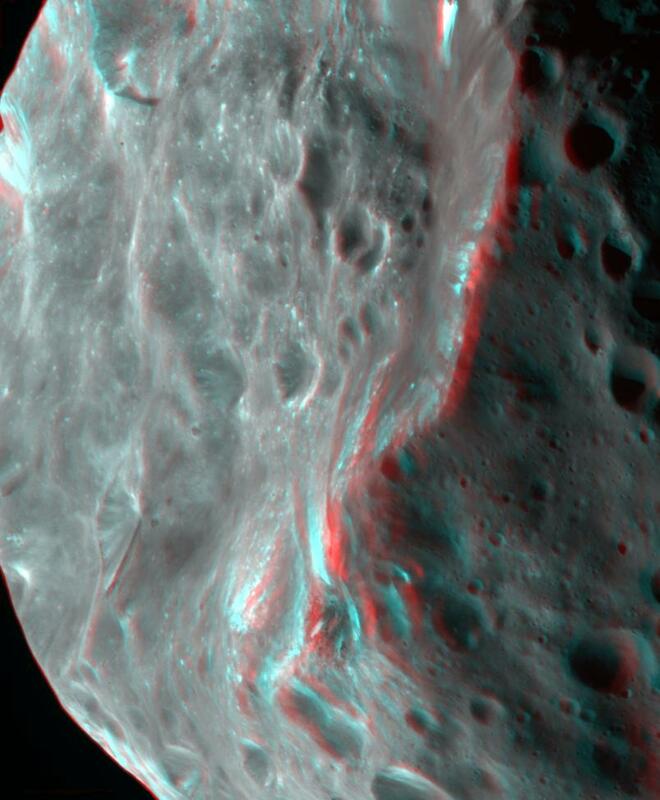 Recent analyses suggest that Saturn’s moon Phoebe resembles a planet. 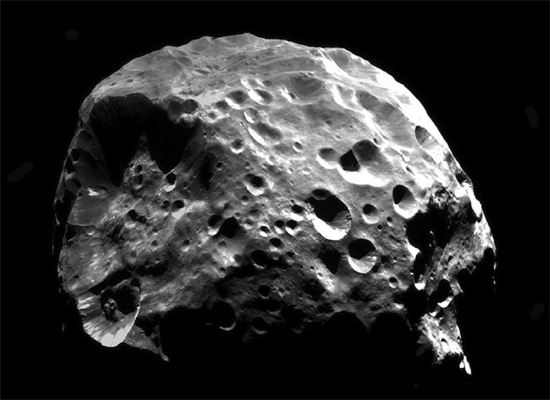 Saturn’s moon Phoebe is comparatively small, roughly 220 kilometers in diameter. Its surface gravity is 0.224m/s^2, compared to the 9m/s^2 on Earth. Phoebe is also as black as night, making it one of the darkest objects in the Solar System. The temperature on Phoebe is estimated to be around 200 below zero Celsius. As the then named Cassini-Huygens spacecraft entered Saturn space, it passed 2000 kilometers from the moon’s surface on June 11, 2004 making it the first and only time that Cassini came close to Phoebe. Since its orbit is almost 13 million kilometers from Saturn, Cassini will be unable to boost out to that distance. The farthest it was scheduled to travel is to the orbit of Iapetus, about 3 million kilometers out. 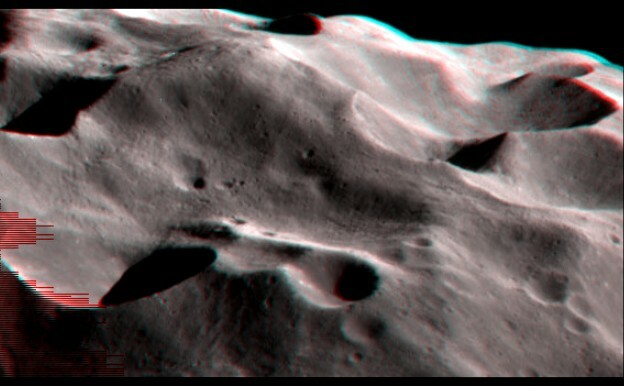 Phoebe’s surface is pocked with craters, similar to some heavily cratered asteroids. In previous Pictures of the Day, the question of why asteroids with large craters were not destroyed by impacts from putative chunks of fast-moving rock was asked. 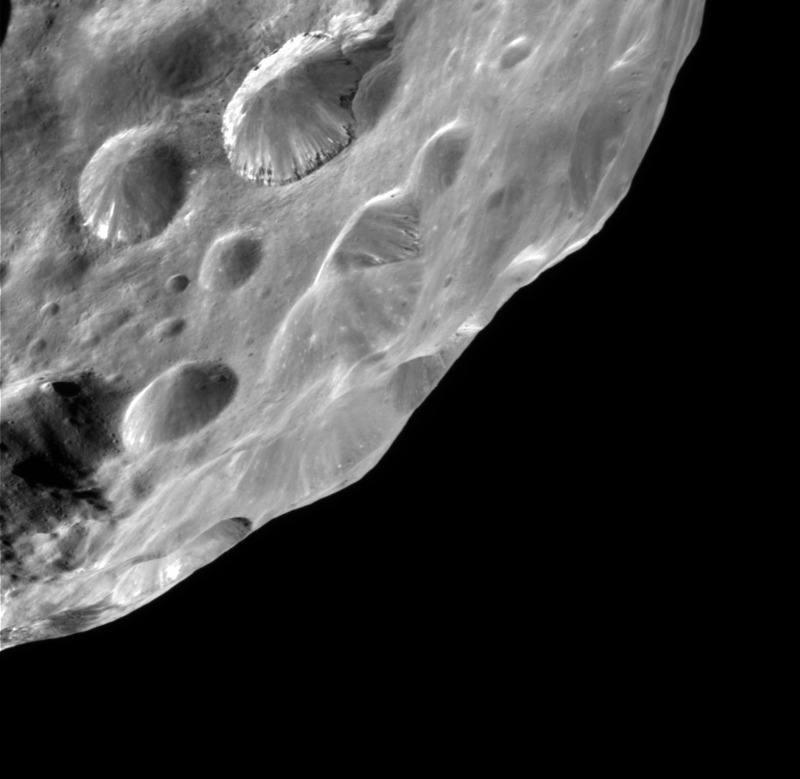 The same question can be asked about Phoebe: why was it not blown apart by whatever “impact” events excavated its craters. 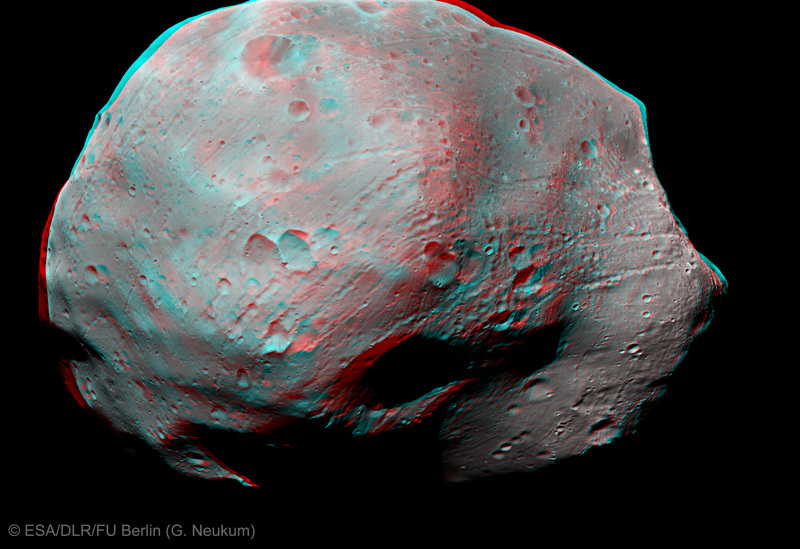 Phoebe’s dark surface is reminiscent of Halley’s comet, another scorched looking black body, as well as comet Wild 2. 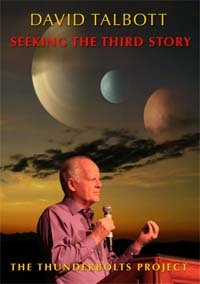 The heavily cratered terrain on all three objects was contrary to the expectations of NASA observers. Images from the Cassini spacecraft depict a moon that has features like those found on other moons described in recent articles. 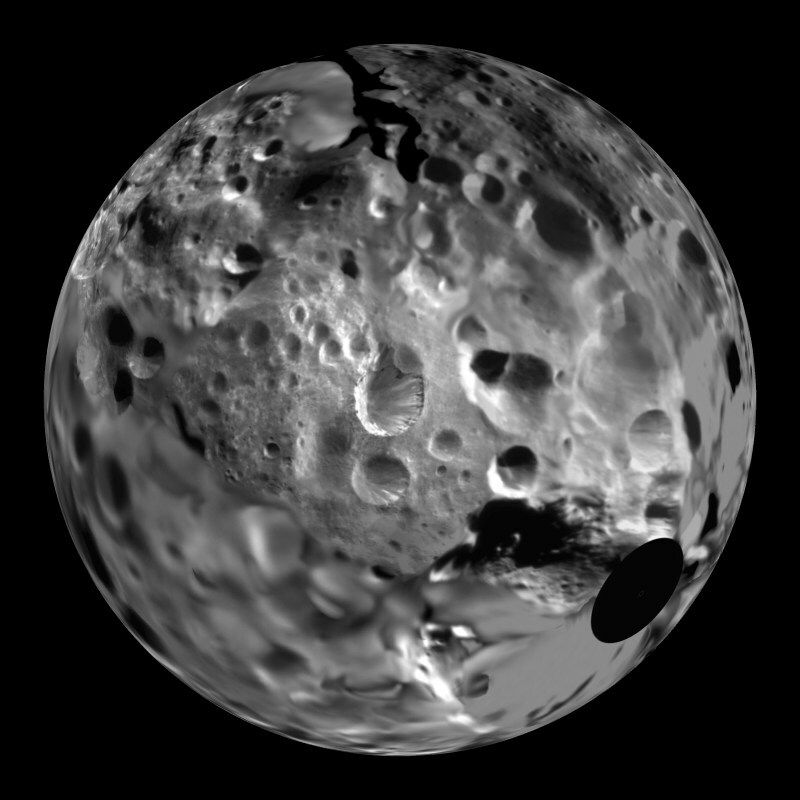 Some are similar to features on the Martian moon Phobos. 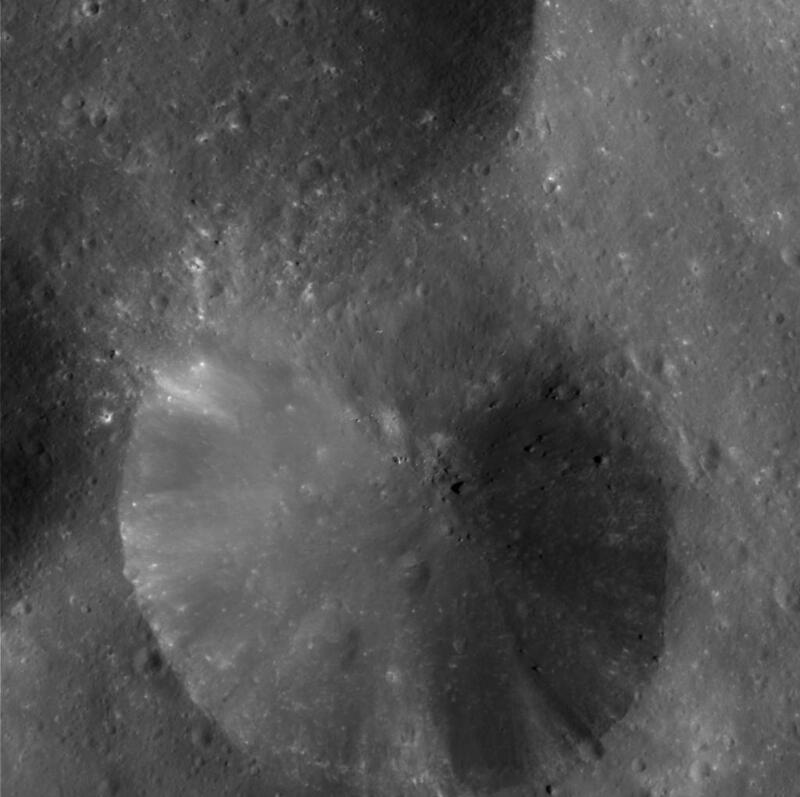 The crater rims have alternating striations, with steep gullies running down one side and hard edges that appear as if they were cut into the rock and ice. 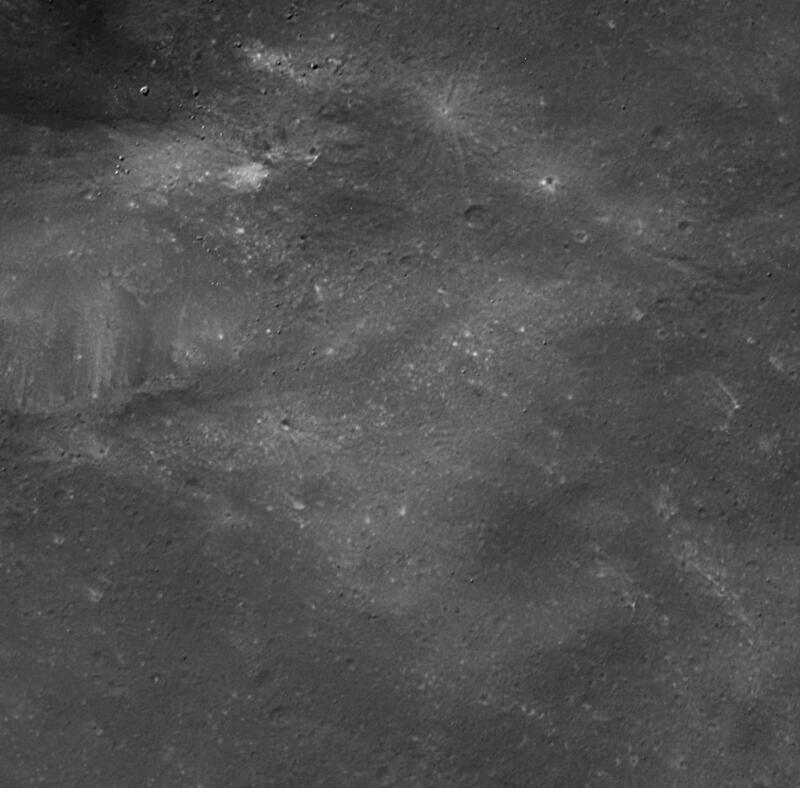 What appear to be rounded boulders lie inside some of the craters as well as in the faces of the crater walls. 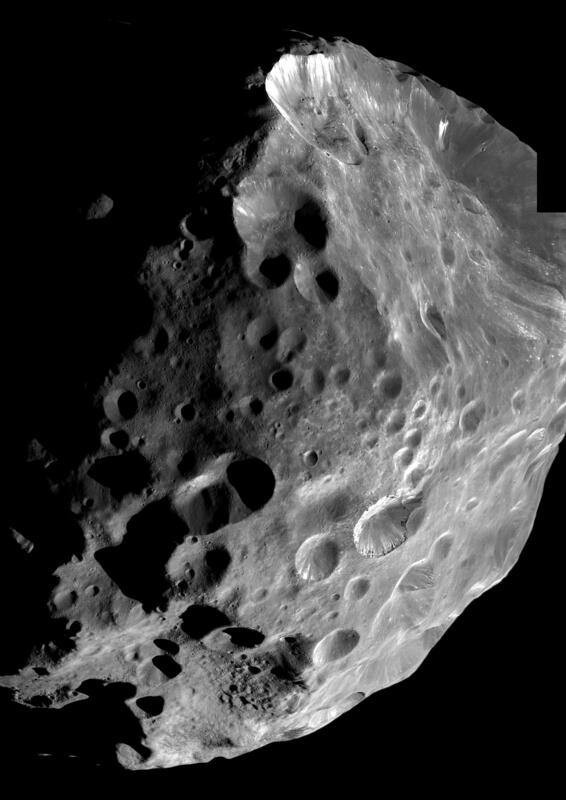 A closer examination casts doubt on the notion that the largest crater could have been created by an object smashing into Phoebe. The alternative—formation by plasma discharge—is well supported. The most obvious evidence is the spiral-shaped crater rim and the steeply carved cliffs. These are not features expected under an impact hypothesis. The visual evidence is consistent with a huge electric arc cutting a long chain of craters into one hemisphere, ending in a winding curve and narrow canyon walls. 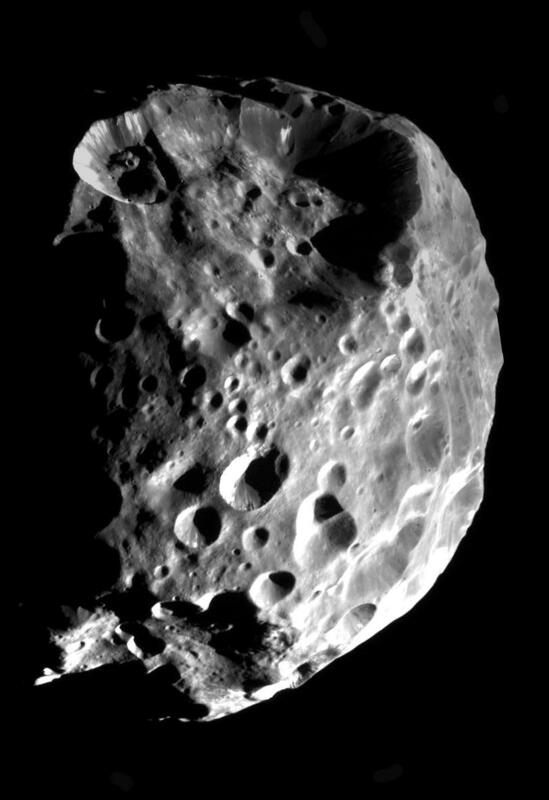 The shallow craters, the overlapping rims and the lack of impact debris are also important considerations in the theory of electrical effects, not only on Phoebe but the rest of Saturn’s moons. By thinking only in terms of meteor impacts, landslides and other familiar geological forces, NASA is ignoring the one possibility that makes all the disparate features we see cohesive: an electrically dynamic Solar System in its formative phases, when cosmic thunderbolts carved the surfaces of planets and moons.